The Aukey DR02 is an entry-level wedge-shaped dash cam. It comes with the basic features of a car camera, such as loop recording and a G-sensor, but doesn’t have extras like Wi-Fi or parking mode. As a result, it is relatively straightforward to install and use. An external GPS antenna is available separately for around $20, in case you wish to record your position and speed data along with the video. Time and date stamps are included by default (as is customary with dashboard cameras). The DR02 has a huge viewing angle of 170 degrees. On the one hand, this gives you a very large field of view. However, the drawback is that a lens this wide generates a notable fish eye effect. The camera compensates for this electronically, reducing sharpness of the image. As a result, video quality of this camera is a mixed bag. While the videos look good at first glance, with vivid colors and allowing you to clearly see what’s going on ahead of your car, the camera often struggles to capture the finer details, such as the license plate numbers of other cars which might be crucial if you become involved in a situation where you need to identify another driver. The user manual is quite good and well written/translated. It comes in 6 languages (English, Spanish, French, German, Italian, and Japanese. At just 7 pages (for each language), the manual is quite compact and a quick and easy read. You can check out a copy here. A memory card is not included with the camera. The DR02 supports SD cards up to 128GB in capacity. A 128GB card will allow you to record over 23 hours of video before the loop recording kicks in. Class 10 or higher cards are recommended. Heat resistance is good, with a maximum operating temperature of 75°C (167°F) as stated by the manufacturer. A native parking mode is not supported, and while you do have the option to select time-lapse or motion detection mode in the menus, you’ll need to (1) do this manually each time you want to enter or leave surveillance mode, and (2) hard-wire the camera to the car battery for this to work, so it can keep running while the engine is off. The Aukey DR02 is a popular low-cost dash cam that’s relatively stealthy and easy to use. However, its mediocre video quality doesn’t exactly make it one of our favorites. 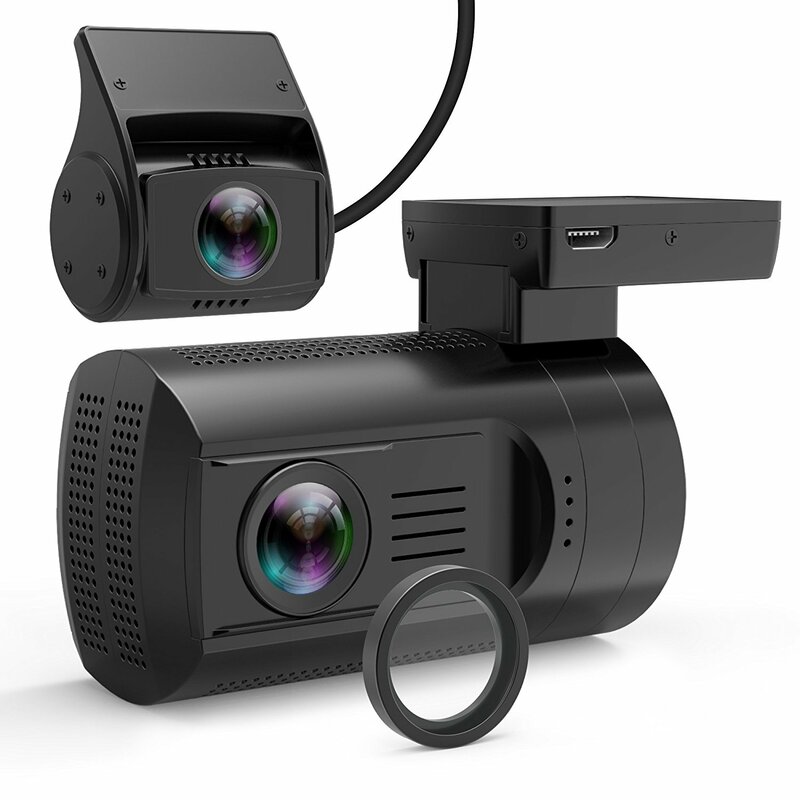 Dash cameras that record better video at a lower price include the Yi and the A118C2. Day time video is fair. License plates of nearby cars are only readable when nearby and standing still. When driving by they it is often impossible to read them even by pausing the video. Night time video quality is fair as well. While you can clearly see what’s going on around you, you won’t be ably to read most license plates or signs with smaller writing than a speed limit sign.